​Dr. Sean Smith and Dr. Shane Smith are twin brothers that grew up in Wood River, NE. 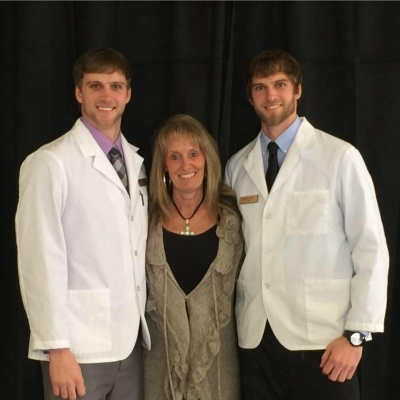 They pursued their education at the University of Nebraska-Lincoln where they graduated in 2011 with a bachelor's degree in Nutrition Science. It was then they decided they wanted to pursue a career that involved helping others. They decided to continue their education at Cleveland Chiropractic College in Overland Park, KS from which they received their Doctorate of Chiropractic degrees in April 2016. ​Dr. Sean and Dr. Shane are excited to be back in Nebraska and especially excited to treat the great people in the Omaha area. Here at Back to Back Chiropractic we utilize many techniques and treatments in order to be specific to the patient's needs and maximize the results for each patient. If you would like to know more about us come on in or call (402-763-9015) and schedule an appointment.